Teaching as Inquiry: where teachers inquire into their practice and use evidence to make decisions about ways to change that practice for the benefit of the learners. A common question that comes from collaborative inquiry teams at this time of year is: Should we start again? A better question to ask would be: What progress did we make with our collaborative inquiry last year and where to next? A teaching team worked together last year to scan their learners widely – building up a picture of learners’ social, emotional and cognitive wellbeing, strengths and areas for exploration. They used the evidence to focus on a theme that emerged and to consider their practices attached to that theme. A focused inquiry came to light and the team engaged in learning together and took some initial action in the classroom to change their practices and to make a difference for learners. By December, the team had taken some action but had not yet engaged in learning for long enough to embed new practice. While they checked learner progress and achievement, they hadn’t really checked widely to see if they’d made enough of a difference overall. What progress did we make with our collaborative inquiry? What evidence did we seek to know we were making a difference? What research and other knowledge informed this? When did we check and how often? How did we check in a way that allowed for adjustment – right away? But what about our new learners? Collaborative inquiries are focused on the gaps in our practice as teachers, highlighted by the challenges our learners face. Those gaps remain in our practice until we fully implement and embed change. “The professional learning research evidence indicates that the integration of substantial new knowledge requires a minimum of a year of focused collaborative effort to make a difference. Two years is much better. With three years of engaged effort, movement towards a transformed learning environment is usually well under way. So space must be created for this to happen” (Timperley, Kaser and Halbert, p. 16, 2014). At the start of the year, when your team is part way through an inquiry from the previous year, consider a “re-scan”. Re-scans can be shorter and more focused. For example, four weeks of Scanning your newly selected learners with a particular focus on your existing team inquiry may be most appropriate. If your team has changed significantly (staff re-shuffle or turnover), you may wish to do a wider, longer scan while also considering evidence from the previous year’s inquiry. As your team discovers the results of initial scanning in the new year, you can then have a robust team conversation about whether the evidence is telling you to continue with your inquiry, or whether to adapt your Learning and Action to cater for new evidence. This is a “morphing” of your inquiry rather than dismissing all of the previous year’s learning and action. How does a Community of Learning work in partnership with whānau, iwi, and communities towards desired outcomes? What does it look like if we genuinely collaborate so that ECE and/or Māori medium/bilingual settings are genuinely involved in working towards the desired outcomes with schools? If we decide to collaborate towards a common goal, how do we make room for that? Everyone tries to protect their staff from more work. How do we move CoL actions and ownership beyond the leadership group? Why do I get that feeling when I come to CoL meetings that I have to protect the status quo back at my school, kura, or ECE? The same people volunteer to do things. How do we decide fairly on who does what in the CoL? role clarity and trust between all members. Sometimes, it feels like we are getting nowhere, going around in circles, or doing too much. What is the right pace for this work? It feels like we are doing the same old stuff. We talk the talk but we don’t walk the walk. We have a large CoL plan with too many projects and activities, but there’s no room for new, innovative ideas to be seeded. If those issues are still real for you as a CoL, in addition to the four key areas, you could also look at ways to slow things down, or get things moving. A large, unwieldy plan can be an indicator that you are moving too fast. Many leaders are focused on actions at the expense of clarity of purpose. A slower pace is important while building a CoL vision and implementing any change, but, sometimes, things can get too slow! This is where Safe-Fail Experiments might come in. 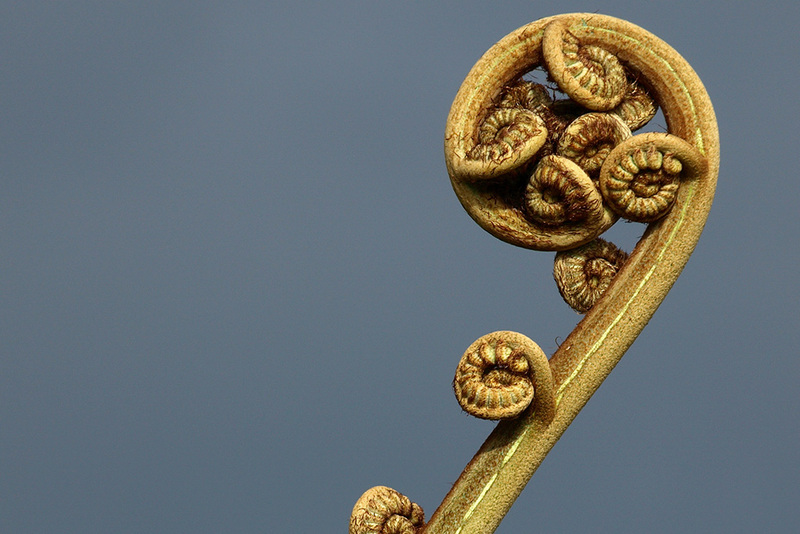 A number of Aotearoa-New Zealand educators recently took part in the #edchatnz MOOC. 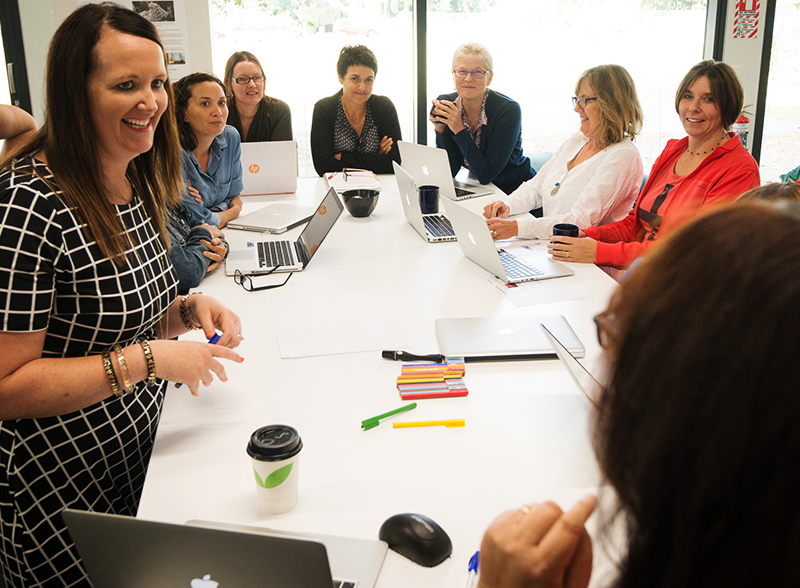 This was a free online course developed and facilitated by Danielle Myburgh, the founder of #edchatnz, which has grown from an energetic hashtag on Twitter into a dynamic, energising group of educationists who self-organise conferences and online events for themselves to empower educators through knowledge and connection. The MOOC introduced me to Dave Snowden and his thinking and experiences in relation to Complexity Theory. 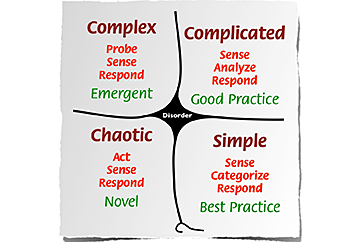 Snowden talks about the Cynefin (pronounced Kunevin) Framework. This is a sense-making model that enables exploration to help groups to work through complex problems. Which domain would you say your CoL is in? Snowden points out that you could be in a state of disorder if you don’t know which of the domains you are in. Perhaps you are acting on a plan that is full of activity but has no overarching vision. Perhaps you keep adding to that plan in response to stated needs as they emerge from the voices of many different CoL members. A CoL could sit in the Ordered domain; if it were a group of schools and/or services that have some clear cause and effect issues to address or that need to bring in some experts to address some more complicated issues, where cause and effect are not so obvious. In that case, you probably already have robust inquiry processes showing the cause and effect of the challenges that you have identified. If your CoL is in the Chaotic domain, Snowden points out that you should ask…what actions do we take now to stabilize the situation? Are we going to impose order (shift the problem to simple) or create enough stability so we have time for experiments (shift the problem to complex)? Your CoL may be in the Complex domain, having built a robust vision and, perhaps, now working on a related and coherent plan that is aligned to that vision. You can’t yet see the cause and effect of your challenges, and it is getting difficult to maintain momentum with your vision because you don’t yet have the inquiry practices that can support you to identify clear next steps. While you build your inquiry capability across the CoL… How might you move forward and manage the tension between taking time to build a clear vision while sensing the urgency that something must be done now about your challenges? Probe: know your CoL and how it works. Map it and all the things around it. Sense: play with your map — understand how things and people connect, identify what you’d like to see more or less of (link to your challenges). Respond: design some simple safe-to-fail experiments or probes, encourage the creation of experiments to address the challenges. What does this mean for leadership in CoLs? sitting back, allowing patterns to emerge, then determining which ones are desirable. All of this allows for innovation, creativity, and new ways of working (Snowden and Boone). Open up discussion: enable more interactive communication. Set barriers: enable others to self-regulate within boundaries. Stimulate attractors: find out what resonates with people and try using these to gain momentum — see what takes off. Encourage dissent and diversity: foster critique of ideas between teams. Manage starting conditions and monitor for emergence: support the conditions for people to innovate, then get out of their way. Building Teaching as Inquiry projects collaboratively is becoming more commonplace as teachers shift their learning and teaching practices (Modern Learning Pedagogies) to co-teach or team-teach learners, for whom they are collectively responsible, within changing learning environments (Modern Learning Environments). There are lots of benefits in building collaborative inquiry projects, even if teachers are still operating in single-cell classrooms. As the Future Focused Inquiries (FFI) facilitation team, we support leaders and teachers to inquire into their own practice to make decisions about ways to change their practice to benefit learners. In this blogpost I and two colleagues (Suzi Gould and Togi Lemanu) from the FFI team share our experiences in facilitating collaborative inquiries in schools. This handy article explains the difference between Teaching as Inquiry and Inquiry Learning. We use this a lot when introducing Teaching as Inquiry in schools. 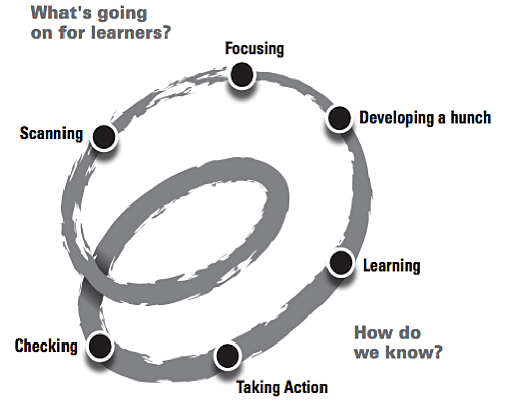 We also use the most recent framework for supporting Teaching as Inquiry, the Spirals of Inquiry. How to manage change and motivate teachers to engage in TAI processes and practices; and how to transition from existing processes so that teachers are well supported to adopt/engage in TAI as a way of growing professionally as well as improving student outcomes. How to build collaborative teams that effectively gather and review evidence to develop a focused collaborative inquiry into practice. developing evidence seeking and inquiry/growth mindsets to improve collaborative teaching and learning. As we work with teachers in teams, we ask them to spend at least a whole term predominantly in the Scanning phase of the Spirals of Inquiry. The Scanning phase asks teachers to think more widely about their learners, considering a more holistic picture of what helps them to learn, and what does not. If done well, they don’t talk about solutions at this stage, but only the current situation for learners. We also explore the Seven Principles of Learning, and use these as a guide to review everyday experiences in the classroom of both the student and teacher. This research, based on the science of learning, is being utilised by teachers to determine new ways of gathering evidence, scan what is going on for their learners, and inform 21st Century learning environments (or future-focused education). 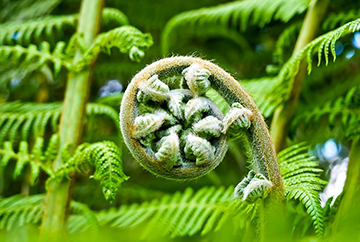 Spending at least a term in the Scanning phase enables teachers to work as a team to explore and innovate ways of scanning the current situation from a wider perspective than that of the professional — they gather data from learners and their whānau. 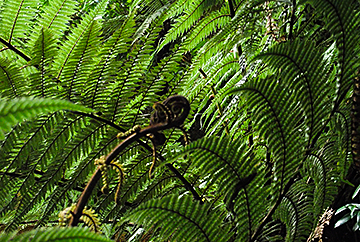 Slowing down this phase of the inquiry process enables teachers to gather a wider perspective of the student, and gain a deeper understanding of the learning ecology. Knowing what ‘Scanning’ is and isn’t is important to support effective gathering, use, and storage of evidence about learners. It also allows space for collaborative learning conversations, and the development of an inquiry and evidence-seeking mindset. As teachers move through the Scanning phase with each other and their learners, they build a sense of ownership over the process, and are motivated to use the data in meaningful ways to inform next steps about their practice. The first time through the Scanning process can feel slow, frustrating, and ambiguous, but if teachers persevere and have rich conversations about the data with each other in relation to their teaching practice, they will begin to see themes emerging and areas to focus on together. We like to call this “slowing down to speed up” — where teachers and their learners use scanning data to focus the inquiry through consideration of their practices and why they use them. As teachers consider their practices, we might encourage them to see these as one part of the picture — imagine a picket fence, made up of slats, it is not the slats alone that provide the form of the fence — it is the spaces in between that also create the whole image. The idea here is that we must listen carefully to the voices not always heard — cast our assumptions aside, and look innovatively towards the change that will make a difference for these particular learners. To what extent can learners connect with and learn from the broader environment? To what extent do they learn on a regular basis from members of their community? Context is important. As facilitators, we support teachers to engage in Teaching as Inquiry in ways that are relevant to their school community (mainly their learners and their whānau). This includes being culturally responsive. For example, engaging with the Talanoa model and exploring posts from experts like Togi Lemanu about engaging with Pasifika learners and their families helps teachers to shape the way they scan and inquire in culturally appropriate ways. Collaboration is more than simply sharing ideas and practices or visiting/observing each other. Collaboration involves teachers committing to a common goal or focus using inquiry practices, challenging and critiquing each other respectfully, focusing on evidence-based needs, and having clarity about their roles in the work/process. Building trust is important if teachers are going to be able to collaborate in this way. We like to use the “Actions that Engender Trust” from Dalton’s Learning Talk series to support teams to reflect on their current team work, and to improve the way they enable trust to be built in an ongoing way. These actions relate to the need for us to build effective communication skills that are inclusive, and that encourage a “growth mindset” that help people explore possibilities and build relationships (Dweck, 2006). As facilitators, we watch the team-building process closely. We guide and mentor teachers and leaders in how they reflect on their own practices that may be contributing to the situations emerging from the Scanning phase. With support, they learn to ask themselves and each other what is leading to the situation, and how they are contributing to this. More common themes emerge across their own teaching practices, and a set of focused inquiry questions emerge for the team to work on together. These types of open conversations don’t occur automatically. Facilitators support teaching teams to use the language of inquiry to ask questions of the data, of learners, and of each other. Learning Talk resources help guide teachers in their use of language that will foster inquiry. Supporting teachers through the inquiry and change process involves listening to their stories. From there, as facilitators, we can start building a relationship with the teachers. Teachers might offload about their school life and, sometimes, that is what is needed for teachers to break out in conversations/talanoa so that we are welcomed in supporting them. At times, supporting teachers individually can be difficult. Having a collaborative fono/meeting with staff involved, and having all principals attend is a great way to support teachers in building their capability. Facilitation involves building relationships, connecting with teachers’ stories, and encouraging collaboration. We recommend that teachers and leaders think carefully about how to engage in Spirals of Inquiry or Teaching as Inquiry. Ensure that you’ve really considered what practices in your school need to change and why. 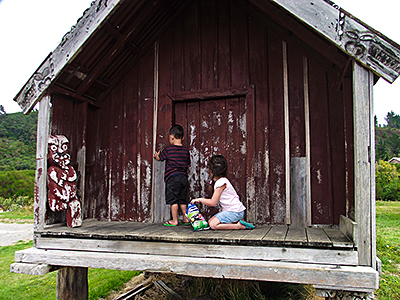 Use wide-ranging evidence that includes the perspectives of learners and their whānau. Trust that common themes will emerge from the data you explore, and keep your inquiry focus manageable. There is always more than one thing to work on at a time, so, as educators, we need to prioritise those that will have the greatest impact for learners. Slow down to speed up! Dalton, J., and Anderson, D. (2010). Learning Talk: build understandings.